and pedestrians jog and stride along the quai. that holds the city in it’s cloud-covered sway. and familiar faces in a warm cafe. who’ve seen too much of history’s wonton way. 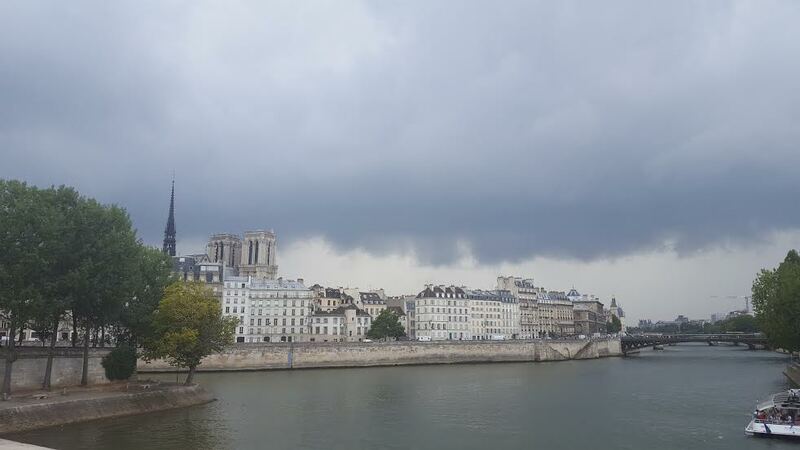 No, Paris doesn’t need the sun today. Very nice indeed. It reminds me of “that” summertime atmosphere. A dramatic sky with the occasional burst of sunlight. It’s amazing for photography, but the mood is even better. People go inside and there is a calm before the storm. In a local café, a coffee, a chat, new friendships. Looking forward to more Paris-inspired poetry. Nice, but I think maybe you mean wanton, not wonton.